There’s no easy way to say it, mortgage rates are up. And they could continue to rise for a while. It’s the result of new mortgage rules that change the way lenders can protect themselves against people who default on their mortgages. As risks go higher, so too do costs. It started on November 1st when TD quietly raised its mortgage prime rate from 2.70% to 2.85%, affecting all customers with a variable-rate mortgage. Then RBC announced it would raise fixed rates on a number of terms, although its posted rates remained steady. Then last week, TD Bank announced it would raise fixed rates on mortgages for rental properties and amortizations over 25 years. 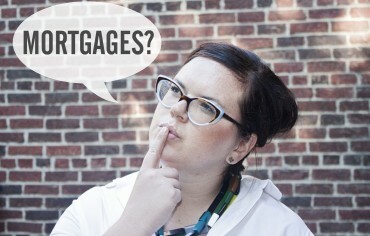 In an environment where rates are going up it’s even more important to compare mortgage rates and know your options. Do you reach for credit or debit? Our parents taught us that credit cards are for emergencies. Keep them in your underwear drawer and only take them out to pay for a tow truck if your car won’t start. But here’s an argument for using your credit card for everything: fraud protection. Cybersecurity expert Jennifer Fiddian-Green says she only uses credit cards for purchases because of the added protection against fraudulent transactions. There’s also the added benefit of earning cash back or travel rewards on every purchase. This strategy isn’t for everyone though. It’s easy to spend more money than you have on your credit card, so make sure you set a budget and stick with it. Even if you save 10% of your household income that may not be enough, says MoneySense columnist Dan Bortolotti. It’s a number that’s been thrown around recently by a few personal finance writers, and it’s a scary one. Prices are up for just about everything, salaries aren’t growing very fast, and high interest savings accounts are easy to neglect. Finance experts don’t always take a realistic worldview though, and the message should be that every little thing you do to save money – from cutting the cord to comparing mortgage rates to taking the bus to work – is a good thing. According to Ratehub.ca’s forthcoming Digital Money Trends Report, 87% of Canadians are saving at least some money, so chances are you’re doing something right. Keep it up. Make less money? You may pay more for car insurance. A Toronto study has revealed that people who live in the poorest neighbourhoods of the city pay higher rates for car insurance. The reason? People who live in wealthier areas have better access to public transit, better amenities, and less use for cars. Conversely, people who live in poorer areas are more likely to be victims of theft or vandalism, live near higher-risk intersections, and less likely to have other insurance coverage to take care of them. If you’re worried about ut your car insurance premiums, there are a few things you can do. First, check out insurance rates before you move- your postal code can have a big impact. Second, take a few minutes to compare car insurance quotes online every year before your policy renews. You could save a lot of money. Your Air Miles (registered trademark) Reward Miles (non-registered trademark) can go back to collecting dust indefinitely as the consumer loyalty program has announced unused points will no longer expire at the end of 2016. The company caved to pressure from consumers, TV consumer affairs shows, journalists, bloggers, twitter users, and the government of Ontario, and announced it would allow customers to keep unused points after all. Instead of losing your points after 5 years, you can now save up for that million-point trip around the world*, so bust out that Air Miles credit card and get shopping! 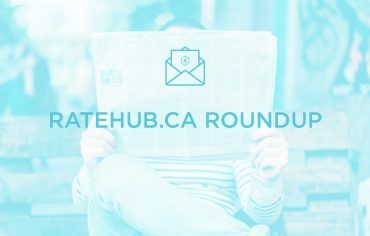 Ratehub.ca has introduced free credit scores. We’ve partnered with Equifax to allow you to get your credit score for free using Ratehub.ca. It won’t affect your credit so there’s literally no reason not to. Want to win a $50 Best Buy gift card? We’re giving one away, and all you have to do is enter to win here. Ratehub.ca was very excited to co-organize the Canadian Personal Finance Conference this month. Writers and enthusiasts from across Canada joined us to learn about personal finance from some of Canada’s top experts. Here are a few things we learned.